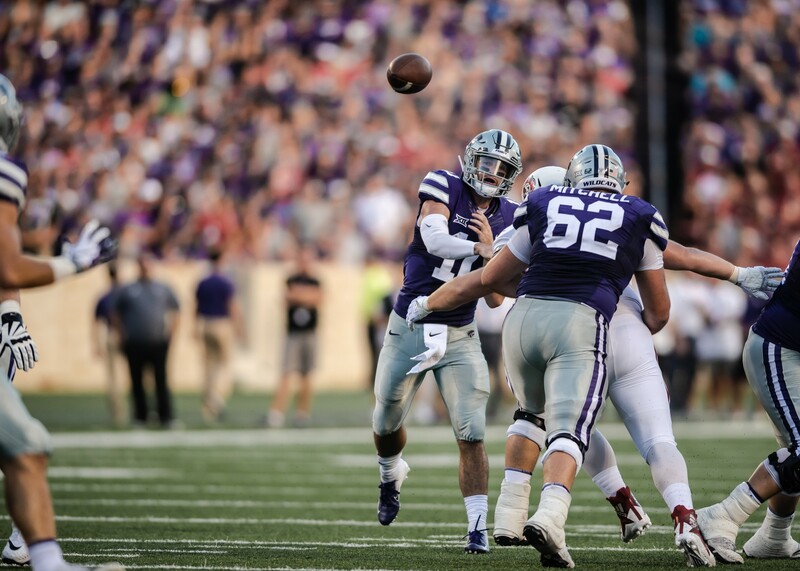 The Kansas State Wildcats will host their first ranked opponent of the 2018 season on Saturday in the SEC vs. Big 12 matchup against No. 18 Mississippi State. There is always a particular air of excitement when playing a ranked opponent, but to head coach Bill Snyder, it’s just another game. Snyder said that the matchup is just the second ballgame of the season and rankings can change dramatically. Junior quarterback Alex Delton said a matchup versus a ranked opponent brings excitement to the game. The last time the Wildcats hosted a team from the SEC in Manhattan in 2014, K-State lost to Auburn 20-14. The Wildcats have also lost their last nine home games against top 25 opponents. Delton said the Wildcats have “something to prove” after nearly being upset by South Dakota on Saturday.